The most popular way to spend a vacation to Nags Head, Kill Devil Hills or Kitty Hawk is in a vacation rental home. Kitty Hawk vacation rentals, Kill Devil Hills vacation rentals and Nags Head vacation rentals come in every size and location (soundside to oceanfront). When planning for your Nags Head vacation (or if you’re staying in Kitty Hawk or Kill Devil Hills – don’t worry, they don’t differ much!) keep in mind that most local agencies that handle Outer Banks vacation houses offer rentals throughout the area, often from South Nags Head vacation rentals to ones as far north as Corolla. As a result, don’t be deterred if you see one company’s office is located in an entirely different town from where you want to stay. Or you can get excited if you had a great experience with a particular Kitty Hawk vacation rental company in the past but now want to experience a different part of the Outer Banks. Multiple towns, each with so many options! How do you even begin to choose? The best tip we can give you in choosing your vacation rental is to read our overall descriptions of each town to see which area suits your personality. In all honesty, it comes down to what features you want out of your location and home. 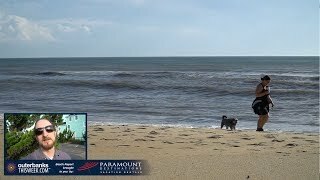 Many Nags Head vacation rental homes, especially those in South Nags Head, are located in quieter parts of the beach while Kill Devil Hills vacation rental homes tend to be more in the middle of the action. Other factors to consider when choosing your Outer Banks vacation rental is whether you want oceanfront, soundfront or in between. Pricing changes depending on proximity to water, season, size of house and amenities. We’re listing the Outer Banks vacation rental companies here alphabetically for your convenience. Outer Banks Resort Rentals manages timeshare rentals and resales ranging from one to four bedrooms. They offer weekly and partial week rentals. Most units are oceanfront, and most properties have a pool or include access to a pool and other amenities. Pet-friendly properties are available. Rentals on the Ocean offers rental cottages in South Nags Head and can accommodate from one up to 26 people. All cottages are oceanfront, ocean side or across the street from the ocean. All the accommodations are pet friendly.